★★★★★ I received the Champion Hand set (I'm assuming they are the MMA model) that you offered to replace the Club Hands, which were an excellent product, but simply too small for my hands. You were absolutely right, the new pair fit perfectly! This will mark the 4th Ironwear product that I own (coupled with some additional weight sets along the way), and I remain a disciple. My clients and workout buddies will be impressed when I show up with these after the holidays. I continue to rave about the quality and effectiveness of the unique training tools that you offer. 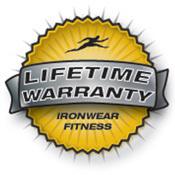 Now I can talk to the highly professional and customer focused service that Ironwear Fitness affords. Should you ever need a successful 62 year old CPT to endorse your product for the senior set or in general, don't hesitate to reach out. Hand Irons™ are the acclaimed best and safest aerobic hand weights and are used by tens of thousands world wide for running, aerobics, boxing training, karate, and kickboxing. 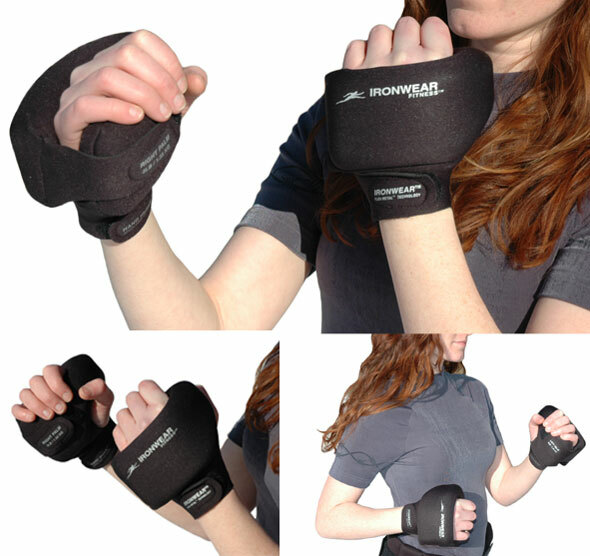 No other hand weights measure up to IRONWEAR ™’s patented Hand Irons™ Hand Irons™. Hand Irons™ are available in 1, 2, or 3 pounds per hand to match any activity and level of fitness. Hand Irons™ Champion Series weights are covered with an abrasion resistant padded black nylon mesh for maximum durability and sweat absorbsion.